Hey, Farmers! 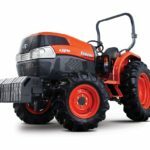 Are you confuse about Kubota tractor model, and do you know about Kubota L5740 tractor price, specification, review. 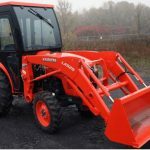 So don’t worry my friends here in this article we are providing all kinds of information about the Kubota L5740 tractor price, Key specification, key features and its implements such as the front loader, mid-mount mower, and backhoe features. That all kinds of information are genuine and reliable, you can trust it. No one can cheat on you after reading this post. 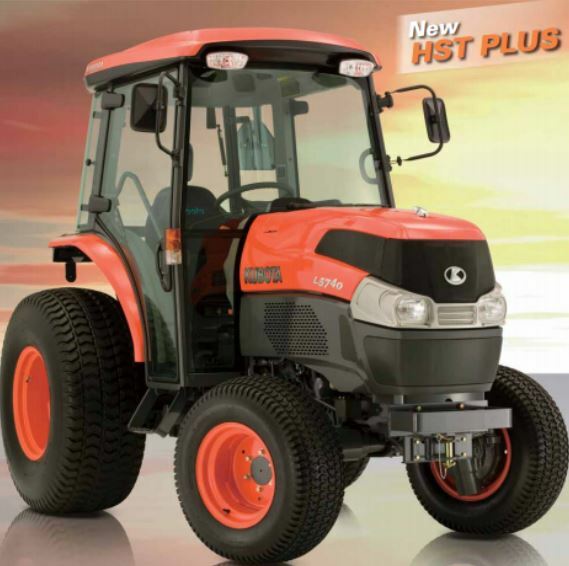 Kubota L5740 Tractor main features such as Engine gross power is 59HP Engine pure power is 57HP, PTO Power HST is 50HP, four-cylinder diesel engine, and total displacement 2434cc and it’s more information you can see below. 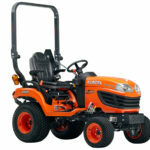 The Price of Kubota L5740 Tractor is $37,300 USD in the USA. 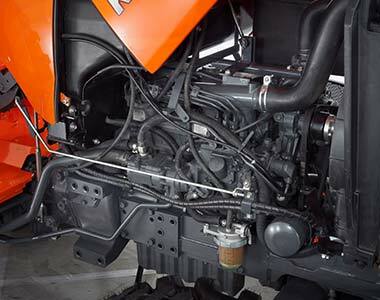 The Kubota L5740 tractor engine is robust and reliable; that is well suited for the agricultural work and other works. It is designed with this kind of features such as Number of 4 cylinders, E-TVCS, indirect injection, vertical, liquid-cooled 4-cycle diesel engine, 59hp engine gross power, total displacement cubic capacity is 2434cc. That engine offers exceptional dependability, durability, and powerful performance. Kubota L5240 tractor Three Vortex Combustion System allows for increased airflow into the burning chamber, where it mixes immediately and evenly with fuel from the fuel injection nozzle to deliver extreme power and efficiency. 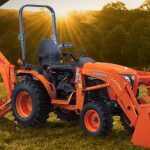 The Kubota L5740 Tractor has a Hydrostatic Plus Transmission System; That is very smooth and powerful.That tackles any task easier and efficiently. With startling precision, HST Plus’s automated controls of both the HST pump and drive motor provides you excellent performance, regardless of the task, working conditions, or driver expertise. It has a Dry type single stage Clutch and Wet disc type Brake System. 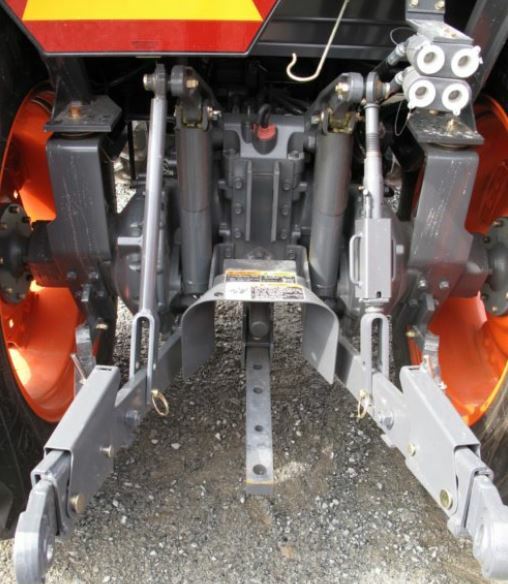 It is also designed with power steering; that is comfortable for the long work and reduce the fatigue of operator. The Kubota L5740 Tractor state-of-the-art PTO (power take off) and hydraulic systems are designed to deliver power and reliable performance. It’s 2-tandem large hydraulic cylinder provides an adequate 3-Point Hitch lift capacity, and lifting capacity of this tractor is 1350kg. 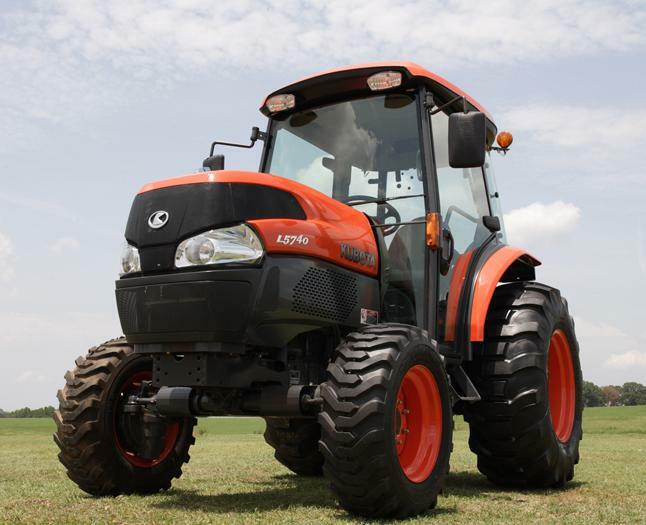 The 4WD of the Kubota L5740 tractor provides superior pulling power and traction in almost any working condition. The front-wheel-drive bevel gear produces a smooth and full power transfer. 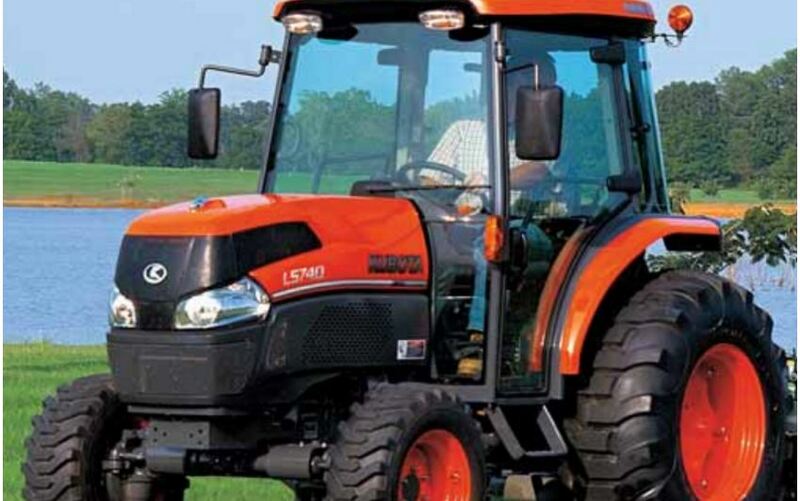 The Kubota L5740 tractor has a large fuel tank, and its capability is 54 litre. Its fuel type is the diesel that is well suited for large farming and other works, no need to frequently refuel during work time. 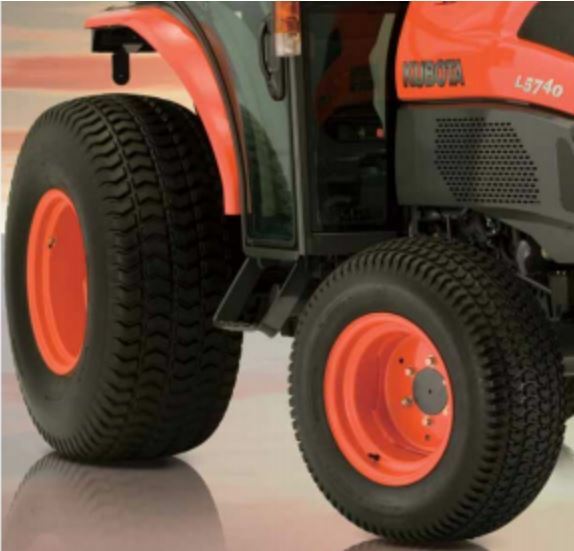 The Kubota l5740 tractor tire provides the secure grip and better traction on the field. This tractor front tire size is 9.5-16 mm, and rear tire size is 13.6-28 mm. 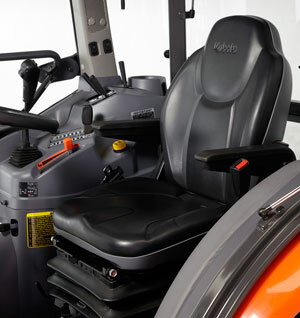 The Grand L5740 tractor gives you comfort where you need it most, with its deluxe seat. It’s Standard features such as armrests, adjustable shock-absorbing springs, wide seating, retractable seat belt and an ergonomic design that adjusts to your posture. 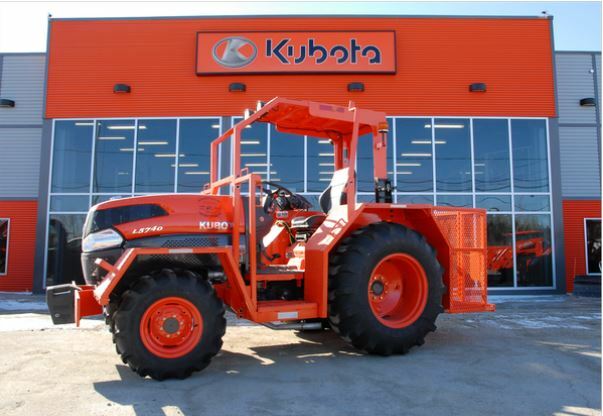 The Kubota L5740 Tractor Grand Cab will offer a level of relaxation that you simply won’t expect and can’t disallow. The Standard equipment of this cab such as AC/Heater with Internal/External Ventilation, 12 Volt Power Outlet, 60 Amp Alternator, Front Wiper and Washer, Rear Windshield Wiper, Front and Rear Work Lights, Interior Light, Door-mounted Side Mirrors, Deluxe Cloth Seat, Wide Fenders, Radio/Cassette/CD Player. Its main features such as include a comfortable deluxe swivel seat and ample leg room so you can stretch your legs on the job. The size of the control panel is big and provides easy access to the operational and hydraulic controls and levers. The Air Conditioning unit also offers super head clearance and cooling performance. In short, it’s a control centre that’s centered on you. And the interior trim, featuring a non-woven fabric on the ceiling as well as an ergonomic lever guide and console design, gives the cab a sophisticated look. That cabin all features are well suited for the operator during the field works. 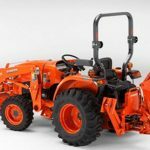 The Kubota L5740 Tractor versatile 72in. 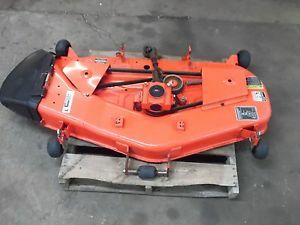 Mid-Mount mower features right side discharge, adjustable cutting heights in 0.5in. Enhancement and is coherent with the front loader. Its floating-style deck also comes with meter wheels, which allows it to glide simply over uneven terrain offering a super finish to your grass. It’s three suitable, anti-scalp rollers and its parallel linkage lets you connect or disconnect the mower quickly and without implements. The Kubota L5740 Tractor engineered with LA8554AU Front loader. This front loader provides impressive lifting power, easy-access control lever operation, ultra-fast dump circuits, and simple connectivity, and carry their weight and more. The Kubota L5740 tractor is available with a third function valve to operate tools such as 4 in 1 bucket. The natural motion of the single lever manages all front loader operations, even allowing simultaneous operation of the boom and bucket. It’s more specification see below the front end loader specification table. Raising Time to Full Height without Load 4.4sec. Lowering Time without Load (power down) 2.8sec. 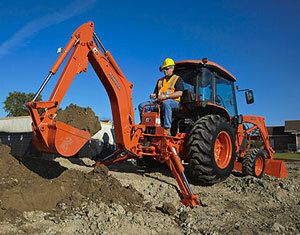 The Kubota L5740 tractor has a BH92 Model Backhoe; that is very used for dip digging and any other heavy work. 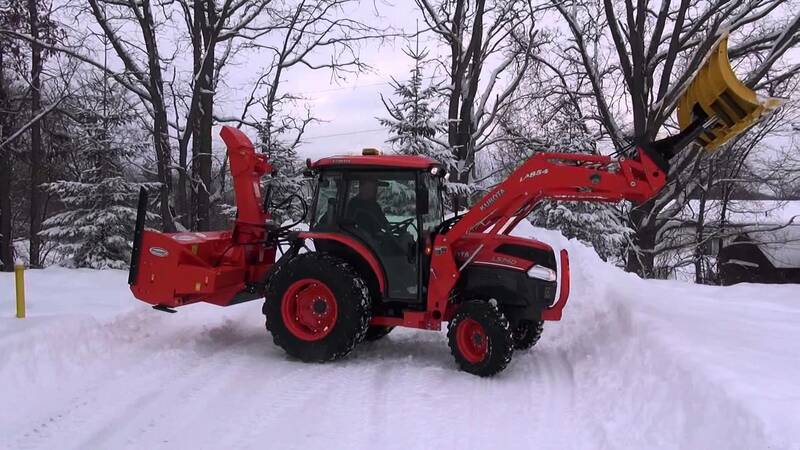 That is powerful, versatile and comfortable backhoe lets you take on a new range of tasks. 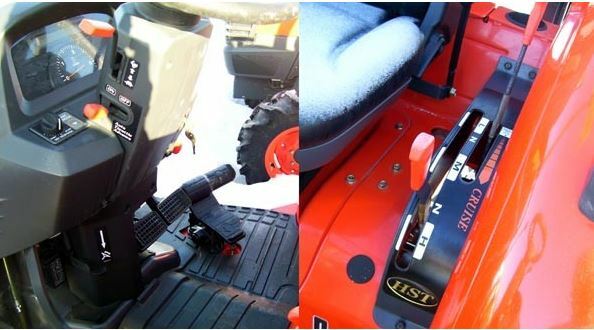 Its extensive legroom makes operations more comfortable and mounting and dismounting the tractor easy. That is equipped with a built-in thumb bracket as standard tools, and that is also fitted with a quick attach or detach mounting system. Its more details specification see below. 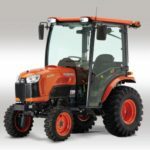 Here in this post, we are provided Kubota L5740 tractor and that attachments latest information you can believe it because that all kinds of information is genuine and reliable. We hope you like that, but if you have any query regarding this article, then comment please below in the comment box.